Profitability, security and frictionless customer experience. Today’s consumer demands nothing less than a frictionless shopping experience. Historically, this presented merchants and eCommerce vendors with a tough dilemma – on one-hand, they wanted to ensure an easy, frictionless transaction process, on the other hand reduce costly fraud related chargebacks. Fortunately, businesses no longer need to choose between tight fraud controls that lead to lost sales and looser controls that increase fraud and chargebacks. Using Paygilant’s mobile fraud detection and prevention solution, online merchants and payment providers can now have the best of both worlds. Paygilant’s SmartRisk Platform precisely distinguishes between high-risk from low-risk identities, and grow sales allowing more good customers to be automatically authenticated while keeping out the bad. Ensure true frictionless mobile shopping – Consumers today demand smooth, efficient mobile shopping, without compromising on security. Paygilant provides the most elegant, frictionless mobile shopping available. Secure your customers throughout the users journey – Paygilant ensures that your customers are confidently secured throughout the users journey from app download to continuous transaction. Reduce chargebacks and fees – Paygilant helps prevent chargebacks by instantly recognizing legitimate customers and flaging suspicious transactions before payments are processed. This drives cost savings and operational efficiencies, and frees up valuable human resources to better serve customers. 3DSecure 2.0. Minimize use of stolen credentials – Cybercriminals relentlessly attack online merchants with stolen identities, user credentials and scripted bot attacks. When they are recognized, fraudsters are often equipped with answers to challenge questions and other personally identifiable information to bypass step-up authentication, making static authentication highly unreliable. Paygilant identifies suspicious logins and illegal account access preventing high-risk transactions, protecting customers and their accounts before losses occur. By preventing unauthorized account access. Paygilant helps keep personal data safe from account manipulation and creation of synthetic accounts. Because of the severity of these types of incidents, businesses can focus on fraud prevention as opposed to after-the-fact detection. New account fraud using identity theft has become widespread. Paygilant evaluates if a new user is behaving as a ligitamte user or as a machine. 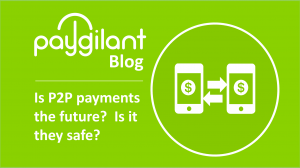 By flagging high-risk accounts in real time Paygilant prevents fraud before it happens. eCommerce shoppers conducting mobile transactions can often be the victims of transaction fraud. Fraudsters use transaction based attacks to bypass simple device intelligence solutions by launching attacks from the user’s recognized device and authenticated session. Paygilant delivers strong device identification, while evaluating the overall security posture of the mobile device.